Khaled Hosseini’s acclaimed debut novel The Kite Runner has sold millions of copies and inspired a popular film, but the book has been met with several challenges since its 2003 release. In 2017, it was the fourth most challenged book according to the American Library Association. It was challenged for sexual violence, and Islamophobia fueled some challenges, with would-be censors arguing that the novel would inspire terrorism and promoted Islam. The book also appeared on the top ten lists for 2014 (offensive language, unsuited to age group, violence), 2012 (homosexuality, offensive language, religious viewpoint, sexually explicit), and 2008 (offensive language, sexually explicit, unsuited to age group). The protagonist of The Kite Runner is Amir, the son of a wealthy businessman, who befriends Hassan, the son of one of his father’s servants, in 1970s Afghanistan. The story transitions in time between pre-revolution Afghanistan and the 1990s, when Amir, now a successful novelist in the United States, learns that Hassan and his wife have been killed by the Taliban. As Amir sets out to Kabul to rescue Hassan’s son Sohrab, he contends with the repercussions of his childhood betrayal of Hassan. Since publication, the book has been embraced in educational settings as a way to address the abuse of power, themes of redemption, the immigrant experience, and Afghani history. In 2017, The Kite Runner was notably challenged in two locales. The book was suddenly pulled from the curriculum district-wide in Gilbert, Arizona, when the Hugley Unified School District informed teachers that the book would not longer be used in classrooms or for independent reading shortly before Grade 10 honors English students were set to begin studying it. A reason wasn’t given, and the school claimed that it was because the book hadn’t been properly vetted, but student journalists determined otherwise, learning that the book had been approved and in use for five years already. The book did not undergo district review processes. 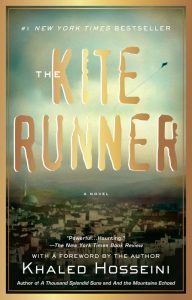 Later in the year, a school board member in Fishers, Indiana, vocally protested the inclusion of The Kite Runner in AP Literature and Composition courses after her daughter had been assigned the novel. Unlike Gilbert, the district undertook the appropriate challenge and review policies. 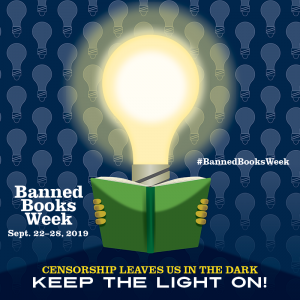 The Kite Runner has also been challenged in North Carolina and Wisconsin, and it was recently red-flagged in California in violation of state law.